Christian Escoudé was born in 1947 in Angoulême, France. His father -a manouche gypsy- was also a guitarist, influenced by Django Reinhardt. At age 15, Christian was already part of a small Jazz group from his manouche circle. He soon developed his own guitar style, a mix of be-bop widely tinged with gypsy influence, using vibrato and portamento, hot runs, and a large, profound sound. In the early seventies, Christian was a regular feature at the Jazz Inn in Paris, and played with Eddy Louiss, Michel Portal, Martial Solal, Aldo Romano and Jean-Claude Fohrenbach. In 1978 he recorded with bassist Charlie Haden (Gitane) in a duo format. 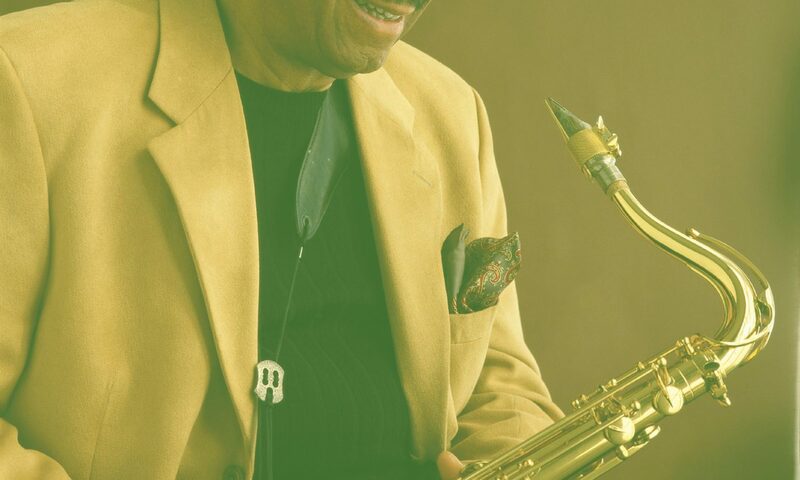 The same year the Festival de Nice offered him the opportunity to record with John Lewis (Mirhana) as well as to play with Stan Getz, Bill Evans, Philly Joe Jones, Freddie Hubbard, Lee Konitz, Shelly Manne and Elvin Jones. In 1979, he performed at the Festival de Dakar, as guest of the René Urtreger’s trio with Pierre Michelot and Daniel Humair. In the Summer of 1980, John McLaughlin invited Christian -in a duo setting- to a world tour who took them to the United States, Brazil and Japan. In 1981 he became a member of Martial Solal’s big band. The following year he performed in a quartet alongside Shelly Manne. In 1983 Christian started a duo with Didier Lockwood which turned into a trio in 1984 with the addition of Philip Catherine. During that period he had the oportunity to work with Ron Carter, and created the Trio Gitan with Boulou Ferré and Babik Reinhardt. After appearing as a guest on a very successful John Lewis recording session (Midnight in Paris, 1988), Christian got an exclusive contract with the French branch of Verve Records, and published Gypsy Waltz (1989), Live at the Village Vanguard (with Pierre Michelot, Hank Jones and Kenny Washington) (1990), Plays Django Reinhardt (with a large ensemble featuring Alain Jean-Marie) (1991), In L.A. (with Lou Levy, Bob Magnusson and Billy Higgins) (1993), Cooking at the Hell’s Kitchen (1994), At Duc des Lombards (1996) and A suite for Gypsies (a composition dedicated to the memory of the gypsy children who were killed in nazi camps) (1998). Some of Christian’s latest recordings are Catalogne (2011), C.E. Joue Brassens (2012) and Saint-Germain des Pres (2013), featuring Lew Tabackin. 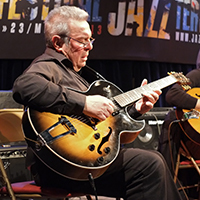 Christian Escoudé has been awarded the Prix Django Reinhardt by the French Academie du Jazz in 1976, the Grand Prix du Disque Boris Vian in 1978 and the Grand Prix of the French SACEM in 2000.